After an excellent start to the season, Valencia have looked a little more vulnerable of late. The thrashing of Sevilla was the last time the team really impressed. Since then, it's not like we've played badly, with 10 points from 5 games, but the team laboured to wins over Alaves and Leganes, should have probably lost to Espanyol and Barcelona and did lose to Getafe, despite having an extra man for 65 minutes. A convincing win was crucial to get us back on track, especially with Real Madrid winning to move level with us on points. The team managed it, though with a hard fought and nervy win. Marcelino, for the first time this season, went for an unchanged line-up. Unfortunately, that's more a reflection of Valencia's lack of squad depth rather than a tough choice made by the manager. In recent games, Valencia have never really taken off until the second half, but that didn't happen here. The team got off to a flying start, with Vezo unlucky not to score in the first minute, hitting the post from a corner. While Celta had a few breaks of their own, our defence proved equal to them and Valencia had the best chances. Zaza showed a great turn of pace near the corner, to force a save at their near post. Soler was put through but from an angle, dragged his shot wide when going for the near post. A superb flick on from Zaza put Gaya in, but the keeper saved. 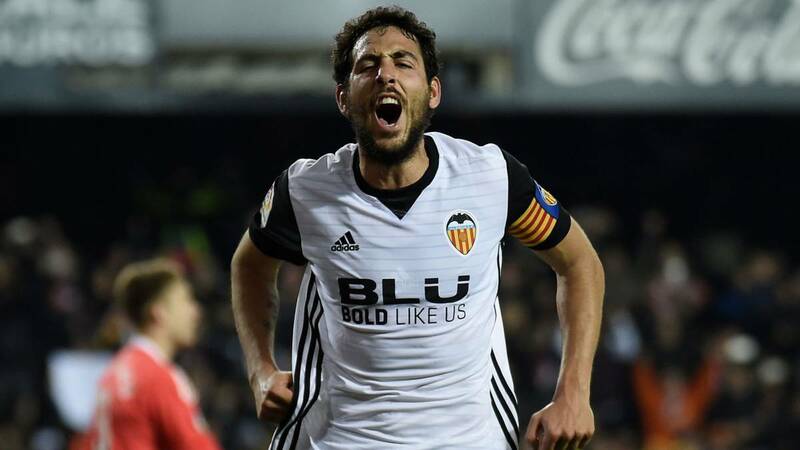 Finally, Valencia got a deserved lead, with Zaza heading in from a corner. Celta probably should have had a penalty in the 10th minute, Paulista tripping one of their players inside but the ref didn't notice. Their best chance came in the 34th minute. Paulista sliced his clearance and Sisto's return found Aspas, whose diving header was brilliantly saved by Neto. Any hopes that Valencia would continue the same way in the second half were quickly rubbed out as Celta scored. Errors by numerous players led to the equaliser. First, Montoya lost the ball in attack, then Parejo failed to track well enough to cut out the counter. Vezo mucked up our offside trap by playing them onside. Then him, Gaya and Kondogbia were unable to stop their player cutting the ball back, with Aspas evading Paulista. A silly goal to concede. The game changed after that, becoming less open and scrappier and with Celta pushing forward more without creating all that much. The referee was also letting too much go and making questionable calls, such as booking Zaza for protesting when we had a reasonable penalty shout. Marcelino made the substitutions, with Soler coming off for Nacho Gil, with Mina replacing Rodrigo soon after. The game looked to be grinding to a stalemated draw until the 80th minute. Valencia had come back into the game more in the previous five minutes, but had missed a couple. Pereira's cross not connecting with anyone then Montoya's shot from distance being saved. Parejo stepped up to take the penalty and a nervy moment was made worse when it looked like the keeper had saved it, but despite him getting a hand to it, the ball bounced past him into the net. A lucky break that we needed. Celta let frustration get to them after that and were lucky to finish with 11 men. Their defender Mallo cut out one of our attacks with his hand, but the ref ignored that and failed to give him a second yellow. Still playing short of our best, but I liked how we played for most of the game today and 3 points against a team that drew at Barcelona last game is no mean feat. 2 more games this year and six points must be the target.